Weather What’s the weather like? Good question! The "current" information we include in the link above isn't always the most accurate. The closest weather station isn't updated automatically, rather it relies on the weather observations being “phoned in”, which may or may not happen with fixed regularity. Additionally, the micro-climates within Costa Rica make prediction of weather much more challenging than in other places. It almost always shows "raining". It could be raining in one place while the sun is shining just ½ a mile away or the rain may last 30 minutes with sunshine the rest of the day. December thru April is our "peak season" for good reason; it's hot, dry and beautiful while most of North America is COLD! You can expect mid to high 80's and lots of humidity. Beautiful, blue skies with lots of big white clouds. Spectacular sunsets. Perfect days for the beach, tours and activities! Maybe an occasional afternoon shower once a week to cool things off. 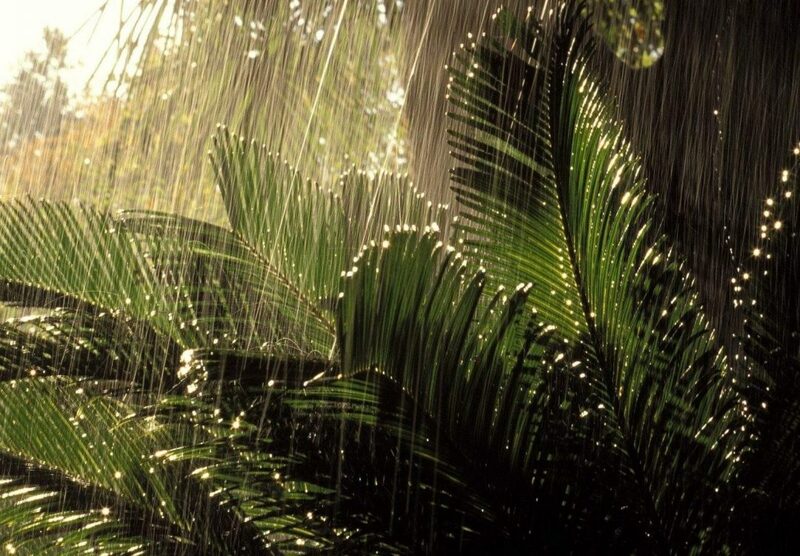 May through November is our "Green Season", the time when tropical rains increase in frequency, eventually peaking in a routine of daily afternoon showers. May thru September is the best time of the year (our opinion!). Yes, it's part of our "rainy season", but this is what you can expect. The mornings and early afternoons are sunny and hot. 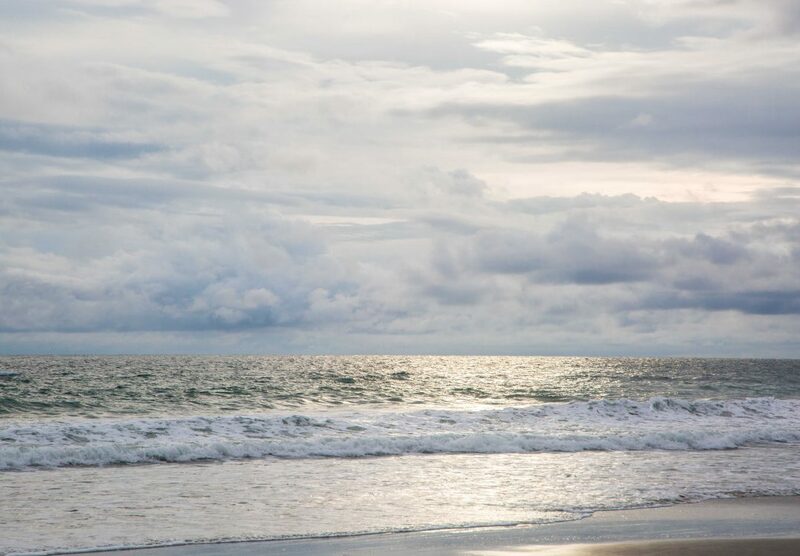 This is when you'll take your tours, head to the beach or explore Quepos. In the late afternoon, you'll probably get some rain, but it's a WARM tropical rain and people go about their "business as usual". During our afternoon showers, it may rain for an hour, three hours, the rest of the night or maybe not at all. It's weather and you never know. It's a great time for reading or napping or just sitting on the terrace and watching the rain over the ocean. During these months it's cooler (but still very warm), it's cleaner, it's greener and there are less tourists here. October and November are wet. October is the wettest month of our year. We average 25″ of rain in October. 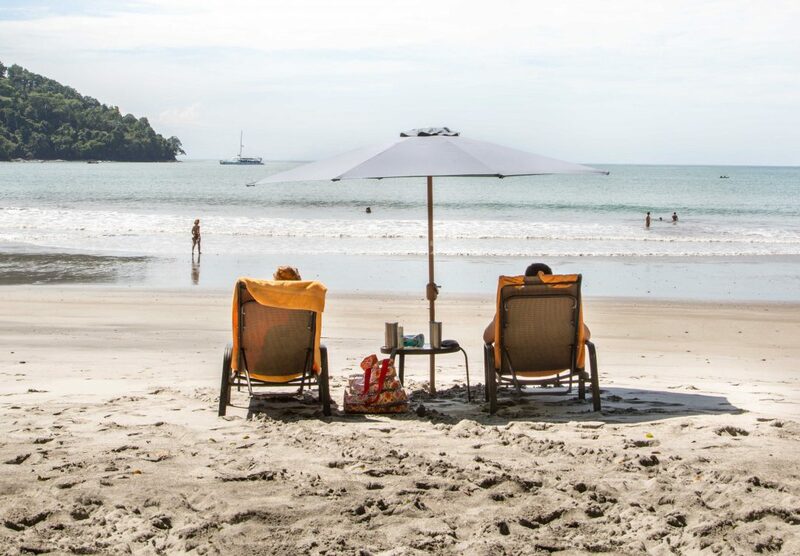 If you come in October, you will get lots of rain, but it can also be a wonderful, quiet time in Manuel Antonio. We'll usually have some dry and sunny times each day. In November, the green season is ending and Summer is slowly approaching. Expect rain, but not as much as October. The chart below shows an 8-year average monthly rainfall and high and low temperatures for the Quepos/Manuel Antonio area.